We were delighted to see one of our former players Craig MacGillivray on the winning side in Portsmouth's victory over Sunderland in the Checkatrade Trophy final. Played in front of a crowd of 85,021 at Wembley Stadium, the match ended 2-2 after extra time. In the subsequent penalty shootout Craig made a magnificent save from Lee Cattermole's penalty, to give Pompey the crucial advantage in a 5-4 win. In his time with Kirk Deighton Rangers Craig initially played as a speedy winger. He later decided to try his hand in goal, and since joining Harrogate Railway Athletic in 2009 has gone on to play for Stalybridge Celtic, Harrogate Town, Walsall and Shrewsbury Town. 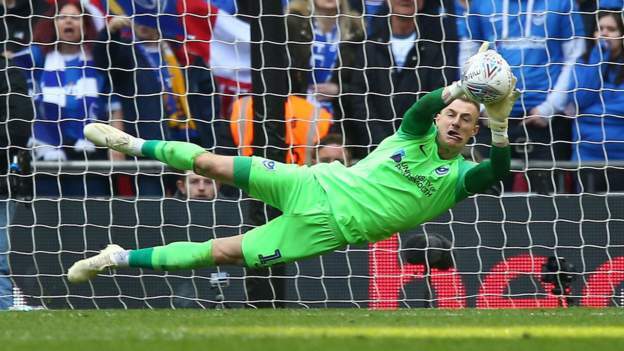 He moved to Portsmouth in 2018, where he has established himself as first choice goalkeeper.